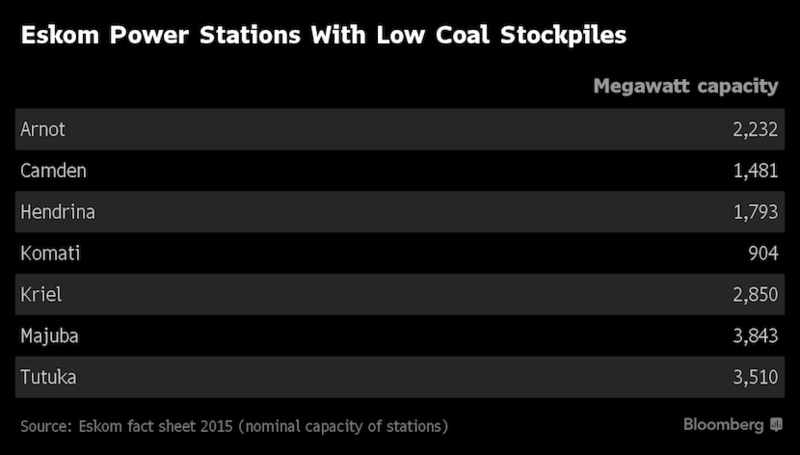 (Bloomberg) – South Africa’s Eskom Holdings SOC Ltd. has permission to circumvent some purchasing rules in order to boost critically low coal stocks at several of its power stations and avoid a return to rolling power cuts. The state-owned utility is seeking coal for seven of its plants that are facing shortages after supply disruptions from Gupta family-controlled mines that are under business rescue and not meeting contract obligations. Eskom supplies most of South Africa’s power and forced blackouts would threaten the economic growth being championed by President Cyril Ramaphosa. The National Treasury will allow Eskom to buy coal for the seven plants without competitive tenders, Khulu Phasiwe, a spokesman for the utility, said by phone. While the contracts are expected to command a premium price, “at this stage the most urgent thing is that they get coal,” he said. 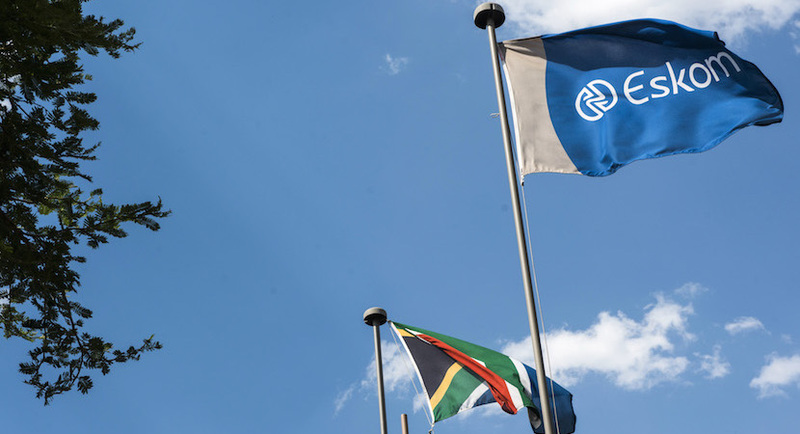 Eskom, which is expected to report a loss for the financial year through March 2018, had its board replaced earlier this year amid allegations of corruption and mismanagement at the company, and faces ongoing obstacles including declining power sales. While the immediate shortage is related to the mines owned by Tegeta Exploration and Resources Ltd., which is linked to the politically connected Gupta family, Eskom’s coal-supply problem is more deeply rooted, said Anton Eberhard, a professor at the University of Cape Town’s Graduate School of Business. Exxaro Resources Ltd. CEO Mxolisi Mgojo told lawmakers in February that former Public Enterprises Minister Lynne Brown refused the company’s request for a 1.8 billion rand ($150 million) capital investment that would have allowed its Matla mine to maintain coal production at the level required by its supply agreement with Eskom. “The reason partly why we are in this situation is because we didn’t invest in these cost-plus mines,” Phasiwe said. The cash-strapped utility can’t do anything about that now, he said.